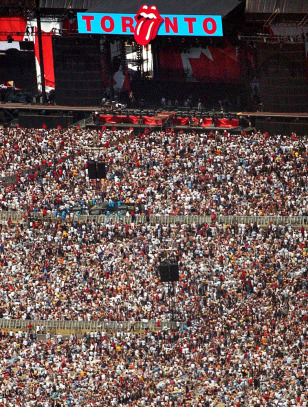 An aerial view of the Concert for SARS Relief at Downsview Park in Toronto in July 2003. The large outdoor performance by 15 bands, headlined by the Rolling Stones, drew a crowd of 400,000. Toronto is a music trendsetter, according to new research.